I thought it fitting to use this picture of a sunset as we close the book on 2013, but with the highs and lows (or rather, not as high?) of my writing goals , it should’ve been a picture of a roller coaster. As metaphors go, however, it’s more like white water rafting because I’m in a completely different place in my writing life from where I began. I wrote over four hundred thousand words for seven projects, including revisions and revamps for every WriMo’d writing challenge this year threw at me and other variations thereof. My digits are exhausted but I met new and wonderful characters and got to explore their worlds. I started this blog in April. 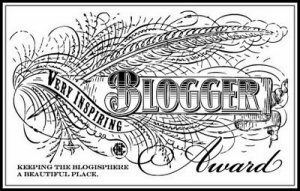 The major accomplishment was blogging through the alphabet each day throughout that month and I’ve been posting on average three times a week since. I read twenty-three books this year and am currently on book twenty-four. I wanted to read more but I’m actually happy with this number considering all the writing and other craziness I went through in the last three hundred and sixty-five. I maintained my blog with the check-ins in Sundays and Wednesdays for each eighty day round. It really helped with the accountability of goals. 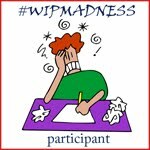 Big shout out to my wonderful #wipmadness family. Every Monday, the WIPsters popped over to the blog of the person hosting for the month. The constant support and encouragement throughout the year was awsometastic. I figured it made sense to completely immerse myself in social media. I joined Twitter, Goodreads, Pinterest, created a Facebook author page, and most recently jumped on the Instagram bandwagon. To further solidify my commitment to the writing life, I joined the Society of Children’s Book Writers & Illustrators, Canadian Society of Children’s Authors, Illustrators & Performers, and the Canadian Authors Association. I also went from being a member at SavvyAuthors and Women’s Fiction Writers Association to becoming a forum and chat moderator. I love the writing community. Their presence is instrumental in my daily perseverance. Non-stop learning this year. To name a few: Savvy Authors, WFWA, Holly Lisle, K.M. Weiland, Ali Luke, Jordan McCollum, Udemy, John Yeoman’s Writers’ Village, CBI, Duolingo and other Language Apps, Ukelele, Knitting, and a partridge in a pear tree. A wonderfully productive year. Here’s to an even better 2014. Tomorrow, as they say, is the first day of the rest of my life. New goals, new plans. As I’m drafting this on an iPad while dodging little fingers trying to grab it, I’ll go into more detail in tomorrow’s post. This entry was posted in Writing/Reading Challenges and tagged learning, networking, reading, writing. Bookmark the permalink. All the best to you in 2014. Happy writing! How’s the year been treating you, so far? I’m happy to be a part of the WIPmadness family. 🙂 Looking forward to March Madness.